SO I ALREADY FAILED AT ONE OF MY GOALS. Yesterday got away from me. I’ll even show you my outfits from yesterday AND today to make up for it because I’m sure you are dying to know (sarcasm font). Friday I was def feeling the cheetah print (or is it leopard? I should probably know the difference). Black pants and scarf are from Heartbreaker, black sweater from Costco like 8 years ago, shoes are from Target. 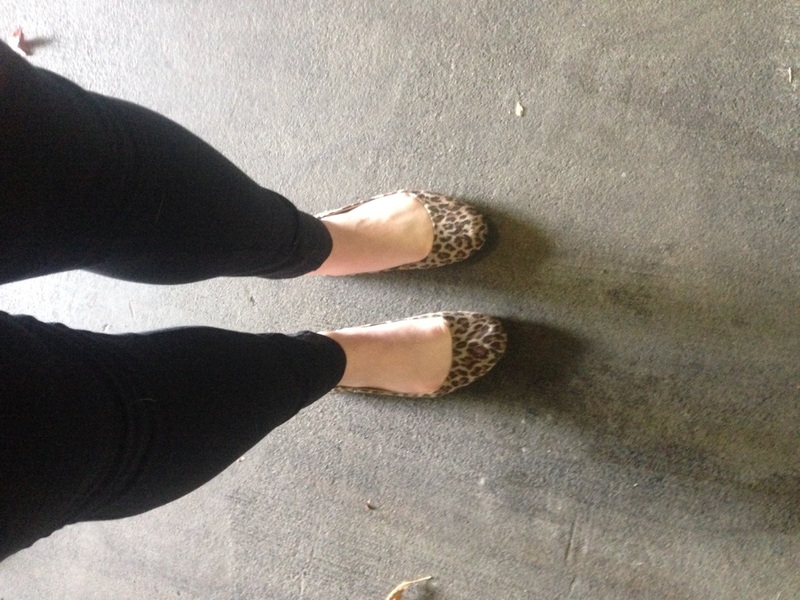 I own three pairs of cheetah print flats. 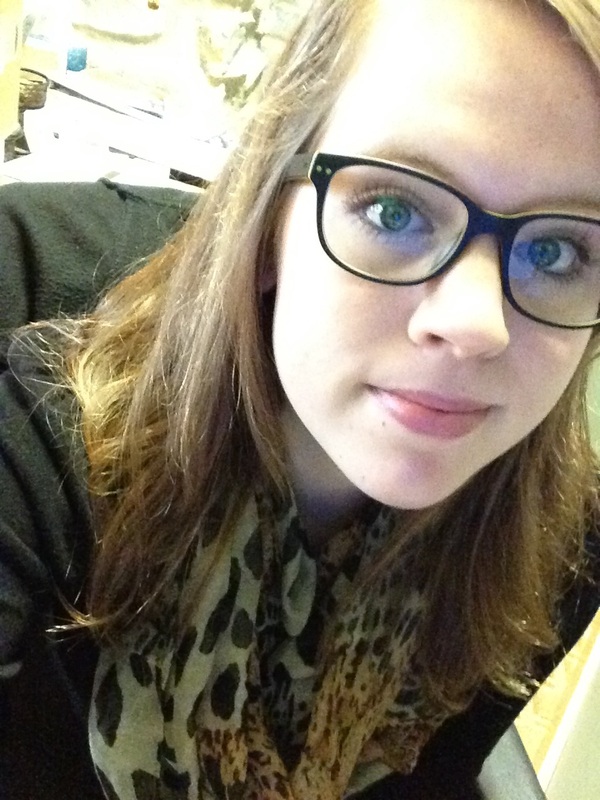 I once had a cheetah print headband but it sadly snapped in half. FUN FACT: My sister and I were wearing the same exact outfit yesterday without even trying. We live 1,000 miles apart and have embraced Snapchat for daily communication. The first pic was a snap to her. 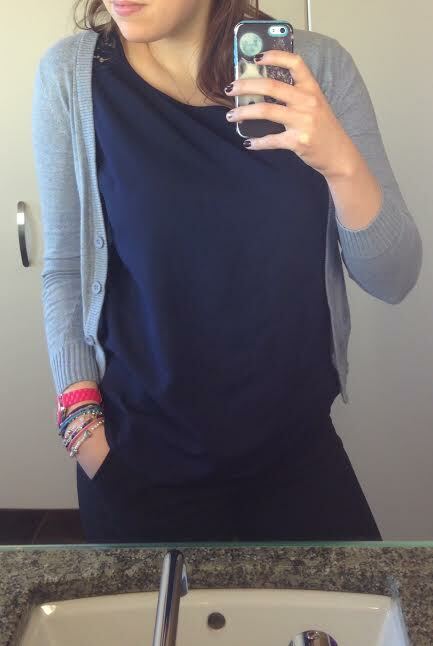 First bathroom selfie. I can’t say I enjoyed it but it’s all I had to work with. This is me at work on a Saturday trying to kill time. The fun fact about this outfit is that I got this blue sweater for free at H&M. Blue shirt has lace on the sleeves and is from New York & Company. My pants are black with tiny blue stitched polka dots and are also from New York & Company. $4 pink watch was a score at Target last week. Wolf phone case not included. JK I got it on Amazon. 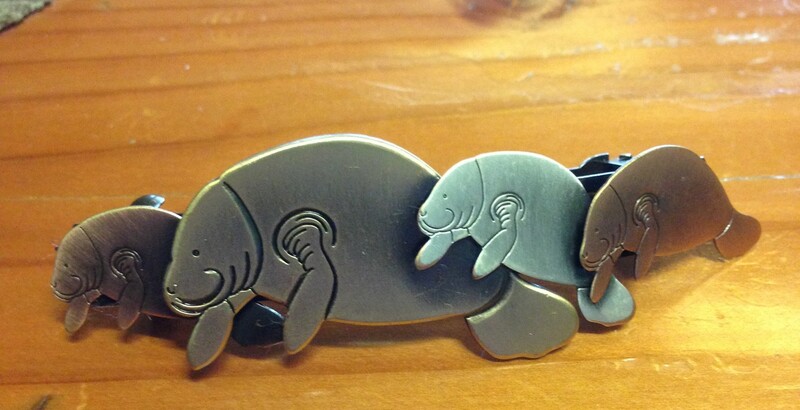 My manatee hair clip is from Etsy (best present ever from my madre). Easy, yo. What I Know is my very favorite song from my very favorite musical artist, Parachute. Plus I can only blog about what I know, right? Manatees & Dimsocks comes from the fact that manatees are my favorite animal and dimsock is a word that my brother made up. It means whatever you want it to mean. I went back and fourth on what to call it for a couple days, but this has just stuck. Side note… I got a Julep box for free in the mail the other day. They send 3 nail polishes and another random product. 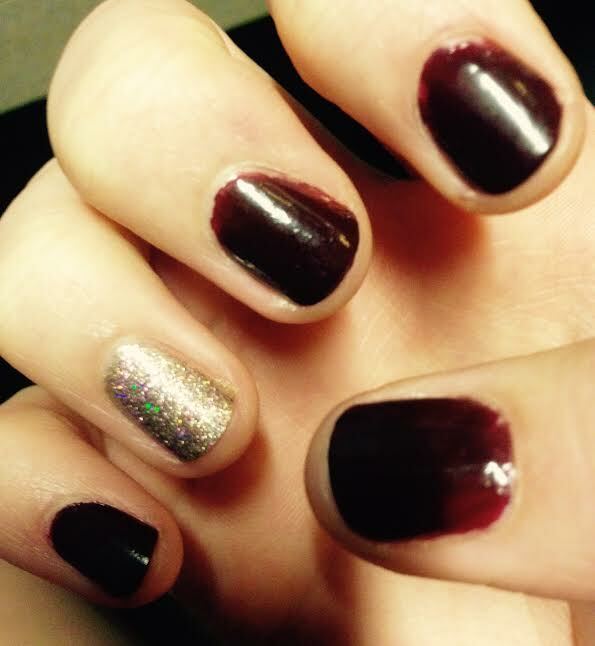 They sent a dark red, a silver, and a purple-y glitter. I have the silver with the glitter on top on my ring finger. Fancy, huh? It’s held up extremely well for almost a week. I’m impressed. I promise I’ll keep updating every day!